Southern Stud Weld is a full service stud welding supplier. We manufacture fasteners, distribute complete stud welding systems, manufacture and distribute a complete line of insulation accessories. Our Access Plug Flange product line is designed to identify and access test measurement locations on insulated and non-insulated pipe and equipment to monitor mechanical integrity. We service and support what we sell. Our products are manufactured at our plant located in Irving Texas, with the capability to run a variety of metal working operations on screw machines, thread rolling, cold heading, and metal stamping machines. SSW specializes in short run jobs with quick turn around times. We listen to our customers when they tell us what they need because good ideas make better products. Our Stud Welding Department manufactures and distributes the most complete line of products and accessories for ARC and Capacitor Discharge Stud Welding Systems. We also sell new and used equipment to meet any project requirements and offer technical support and maintenance. Let our technicians maintain your ARC and CD Stud Welding Systems. 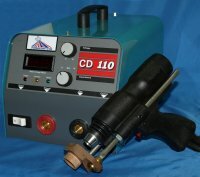 We also have a fleet of stud welding rental units available, from small CD systems to large ARC systems. 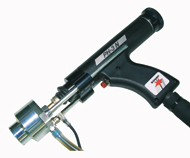 Rent a stud welding system and use it to get your job done fast, without a large initial investment in equipment. All accessories are in stock for your needs. Initial training on how to use these welding systems is also available upon request. Our sales representatives will be glad to help you with your stud welding needs. Our 20+ years experience in Stud Welding allows us to supply you with the products you need and the support you deserve. We manufacture ARC studs and CD studs at our plant in Irving, Texas. Southern Southern Stud Weld is the USA partner for Soyer Stud Welding. Heinz Soyer GmbH was founded near Munich on January 01, 1970. In 1986, the first corporate building was constructed and the company relocated to Wörthsee-Etterschlag. Over the years the company grew substantially and three further commercial buildings were constructed. The company's own stud production was extended in 2002 to cope with the increasing demand for weld fasteners. In 2010 Heinz Soyer GmbH celebrated its 40th birthday. Southern Stud Weld represents the complete Soyer line, and services and supports the product in the USA. © 2016 Southern Stud Weld.